There is no dearth of opinions about what the United Methodist Church should do in light of our deep divisions over the application of scripture to ministry: We should split; we should let each church and conference decide how to view homosexual practice; we should allow the current language to stand and tolerate spotty enforcement of our rules; we should have a spiritual revolution that takes us back to the Bible; we should have a spiritual revolution that causes us to accept everyone just as they are. Probably each of us resonates with the sentiment behind at least one of these concepts, but all these plans are absent a crucial ingredient: a mechanism for implementation. It is one thing to suggest schism and quite another to describe how that might be accomplished in a connectional denomination like the UMC. It is easy to say that each local church should decide, but multiplies the occasions for conflict and requires that we somehow graft congregational polity into our connectional covenants. The plan I espouse is called “The Jurisdictional Solution” and it has the distinction of being the only one with a specific blueprint for implementation. Six amendments to our Book of Discipline are offered that would reinvent U.S. United Methodism by creating two ideologically-based U.S. Jurisdictions, each with the flexibility to adapt our BOD to its ministry context. This adaptation would be almost identical to the freedoms already enjoyed by our central conferences. The reason why this solution is able to be enacted in such an elegant way is that the basic mechanisms needed already exist. When you want to solve a problem you have to use the tools available. Jurisdictions have been utilized for decades in American Methodism to manage divisive issues. They have enabled unity by insuring that it is delivered in just the right dose. 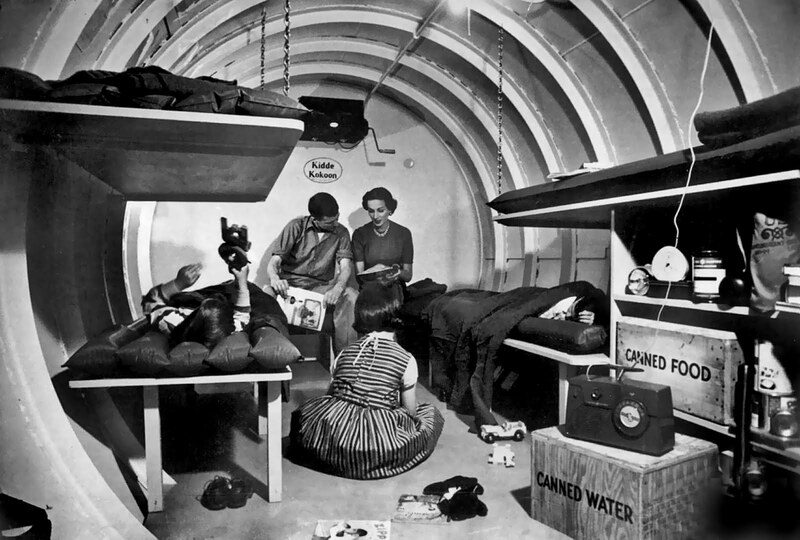 It just so happens that our current system of five geographical jurisdictions is all but useless, laying there like so many Cold War bomb shelters awaiting a renewed purpose. Created in 1939 and retained in 1968, our jurisdictions are designed to provide regional protection, a function unnecessary in a church that is truly “United”. Except in the Southeast, this extra middle judicatory layer serves little purpose beyond the election and assignment of bishops. The Jurisdictional Solution calls this extraneous layer into action to help us weather a tsunami that has either gradually or dramatically divided every other mainline denomination. Jurisdictions can create space for two groups of United Methodists to operate under slightly different rules. 1. Bishops serve within the jurisdiction in which they are elected. This insures that the episcopal leadership for each jurisdiction is aligned with the ethos of that jurisdiction, a feature very useful to the Jurisdictional Solution. 2. Jurisdictions already have the authority to constitute jurisdictional boards as auxiliary to the general boards of the church and choose their representatives to the general boards. (¶27.3) Again, this is a feature that would help each jurisdiction specialize its ministry within the United Methodist connection. 5. Jurisdictions are empowered to promote the evangelistic, educational, missionary, and benevolent interests of the Church and institutions within their boundaries. (¶27.1) This is a mandate to create the structures needed to do the work of the jurisdiction. 6. Bishops are allowed to serve across jurisdictional lines with the permission of the committee on episcopacy of the receiving jurisdiction. (¶49) This will help temporarily address any imbalance in the number of bishops created by the realignment of the jurisdictions. The Council of Bishops may appoint a bishop across jurisdictional lines in an emergency and only with the permission of the majority of bishops within that jurisdiction. 7. Jurisdictions are already given the power to create and align the boundaries of the annual conferences within their bounds. This is crucial for creating a system of conferences that provide coverage across the nation for each jurisdiction. Beyond our Constitution, there are other features built into our Book of Discipline that are ready-made to help implement a jurisdictional solution. For instance, there is a mechanism that allows pastors to serve across conference lines. This will be extremely helpful in addressing clergy surpluses and shortfalls that might be created through this plan. There is likewise a procedure in place for any church that might want to change to a different annual conference. This will be useful for those congregations that might find themselves wrongly placed after the initial period of sorting. The jurisdictional solution is also elegant in that it extends flexibility to adapt some parts of The Book of Discipline to each jurisdiction (everything but the Doctrinal Standards, Constitution, Our Theological Task, The Ministry of All Christians, and the Preface/Preamble to the Social Principles). This means that the current language in the BOD can stand as it relates to human sexuality, something helpful to our growing annual conferences in Africa. The more progressive jurisdiction, however, can adapt these rules to their ministry objectives. If any conservative is concerned about a U.S. jurisdiction embracing homosexual practice, it should be noted that the Western and Northeastern Jurisdictions have already done so in their official resolutions. It turns out there might be a very useful purpose for at least one of the antiquated Cold War Era structures built into our Book of Discipline. Jurisdictions, freshly conceived, can help us stay together by giving us two ways to be United Methodists in America. Take a look at my proposal for overlapping jurisdictions, similar to the two leagues of Major League Baseball. You can find the full list of updates required for the Book of Discipline at www.jurisdictionalsolution.org.